Invite Your Community to Meet the Son of God at Your Church! From the award-winning producers of the record-breaking miniseries The Bible, Roma Downey and Mark Burnett, comes Son of God, a major motion picture that brings the life of Jesus Christ to the big screen like never before. It marks the first major motion picture about Jesus' life since The Passion of the Christ, providing churches with a tremendous opportunity to share with the community who the Son of God is! Why Should Your Church Use The Son of God for outreach? The Passion of the Christ moved people to experience the death of Jesus, Son of God allows your church to see the entire ministry of Jesus, to feel like a disciple and experience Jesus' love and grace. Released in theaters by Fox this movie had a lot of media buzz and publicity. Your church can now help those who saw the film go deeper afterwards and learn more. Reserve Your License Now - available to ship June 3! 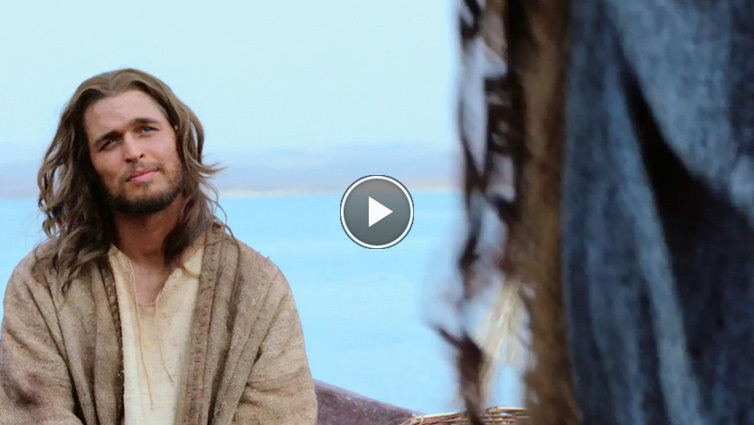 Bring this powerful film about the life of Jesus to your church! From producers Mark Burnett (The Voice and Survivor) and Roma Downey (Touched by an Angel), this epic movie vividly portrays the love, sacrifice and salvation that is available only thorugh Jesus. To show Son of God in a public setting, you must have a license. License prices are based on your church's average weekly attendance. EXCLUSIVELY FROM OUTREACH - Order the Son of God Movie Event License with DVD and also receive the Son of God: Who is He? Church Kit and Small Group DVD-Study: It has everything you need to show the film, launch a sermon series and begin small groups in your church all in one package! "Their (Roma Downey and Mark Burnett) work is truly unprecedented in the history of the church, and I am happy to work with them to make the most of this incredible opportunity to share the gospel in this unique, impactful way,"
"Brilliantly produced with stunning cinematography, a Hans Zimmer score and academy-worthy acting... Not since "The Passion of the Christ" ten years ago have I been this excited about a movie." "I believe the audience will be enthralled, encouraged and inspired..."